We know an inspired team is a motivated and productive team, so without inspiration, it’s hard to get the work done at an impressive level. Well, we’re here to help. We built a list of blogs in various categories that will help ignite that spark of marketing inspiration again and knock out those next big projects. A strong brand helps a consumer associate a business, product or service. 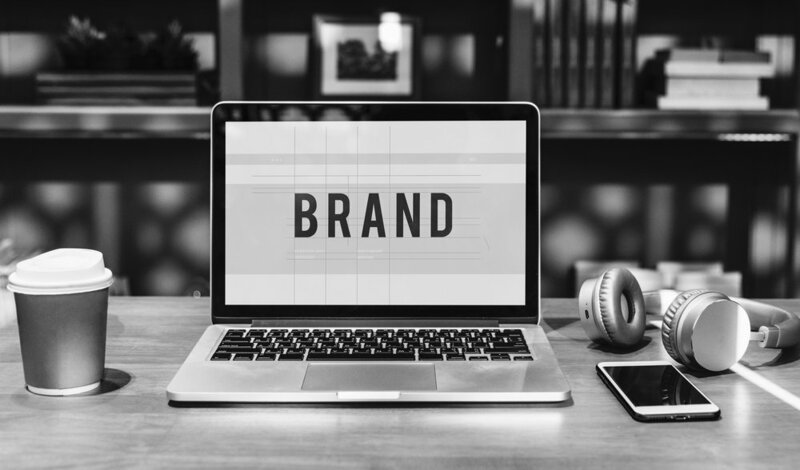 To help a company sustain a positive and impactful brand is one of an agency’s most important marketing strategies. Below are five inspirational blogs that will help you create and support a top-notch brand. Brand New offers reviews and opinion pieces on other’s branding work. This blog is also a great resource to explain developments in the branding world — all according to their own opinion. If you’re into packaging design — this blog is perfect for inspiration. It includes a wealth of materials such as articles, images, events, jobs and awards in the packaging design field. 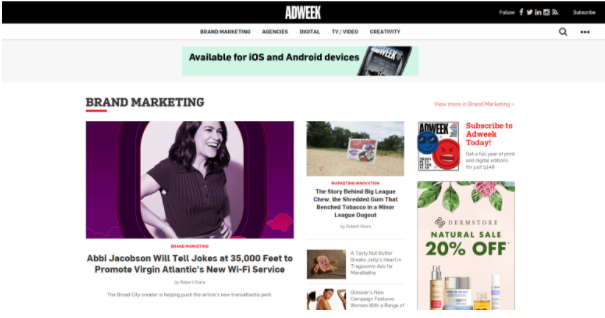 Although Adweek may be known more for sharing news related to the marketing and advertising industries, the publication also has a blog packed with articles, blog posts, galleries, videos and more. Adweek makes a habit of covering unique and creative campaigns when they launch, so it’s perfect for inspiration and keeping up on the industry’s biggest and best. The importance of a logo cannot be understated. This blog is completely devoted to logos and how they associate with brand identity. This blog focuses on different types of brand identities throughout the world, focusing on different design and aesthetics from difficult cultures. Even though digital design has become a major focus in the marketing industry these days, we can’t forget the importance of print design. If you need inspiration and ideas to help your clients attract new customers, expand offerings and grow brands offline through print design, below are a few blogs to help inspire you to do so. For Print Only shows the latest printed projects, while writers get extremely detailed regarding the design and print production methods. Though this publication obviously comes in hard copy, the blog features interviews with some of today’s most renowned print designers. It also offers tips for skill-building within the realm of print design. It can be challenging to visualize print work while completing it on screen. This blog gives tons of tips and tutorials for building a beautiful print design. This graphic design lifestyle blog often highlights the best in print design (it even includes comics!). This blog releases new articles almost daily and is filled with tips and tricks for print designers. InDesign is the most complicated, yet best-maintained software for print design and this blog provides a ton of information for designers who use this software. It’s a no-brainer that web presence is one of the most important pieces of your client’s overall marketing strategy and brand identity. We found five of the top blogs to help inspire and motivate you while you execute your next web-based deliverables. This blog features innovative and beautiful website designs made by designers everywhere. Anything you need to know is at your fingertips with this blog — from UX ideas to color guides and typography — you can read and learn about it here. Web designers need to bookmark this blog. The blog’s daily articles offer new ways to learn how to be more productive, new frameworks and methodologies, as well as design inspiration. A List Apart is mainly a web design blog but also offers topics that discuss web standards and best practices in design, which is a MUST KNOW in the marketing field. UX is just as important as the design itself and should be done cohesively and with both in mind. This is an online magazine that offers the latest in UX strategy. Designers, writers, developers, and even account executives — any professional in the marketing industry should stay up-to-date on the latest industry trends — not just for the knowledge, but for the inspiration. You never know when blogs and examples just like the above will trigger a spark that fuels you to produce some of the best client work you’ve ever created. You might even find your brand being the next innovative feature on Adweek.